We have range of beautifully decorated, spacious units from our spa/studios, one bedroom to two bedroom units and our three bedroom family apartment. 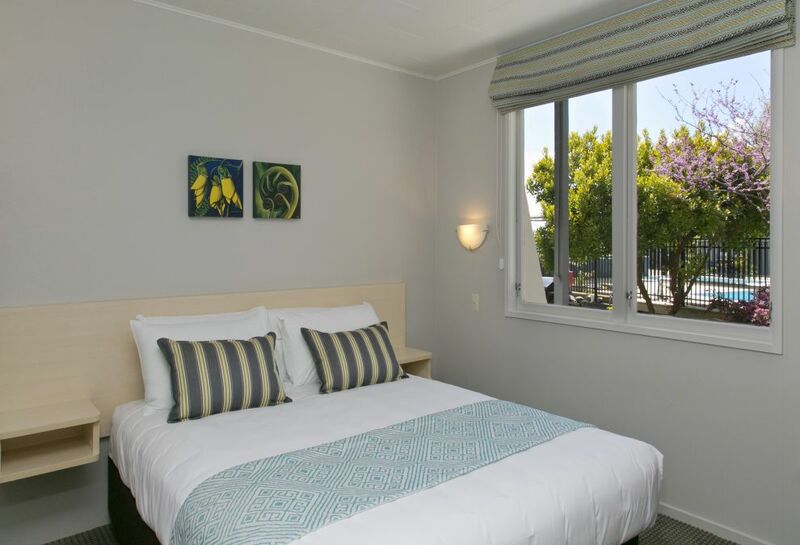 Enjoy spectacular views of New Zealand's largest lake from our lake view units, or stay poolside to make the most of our heated outdoor pool area featuring a large swimming poll, paddling pool and heated hot tub. 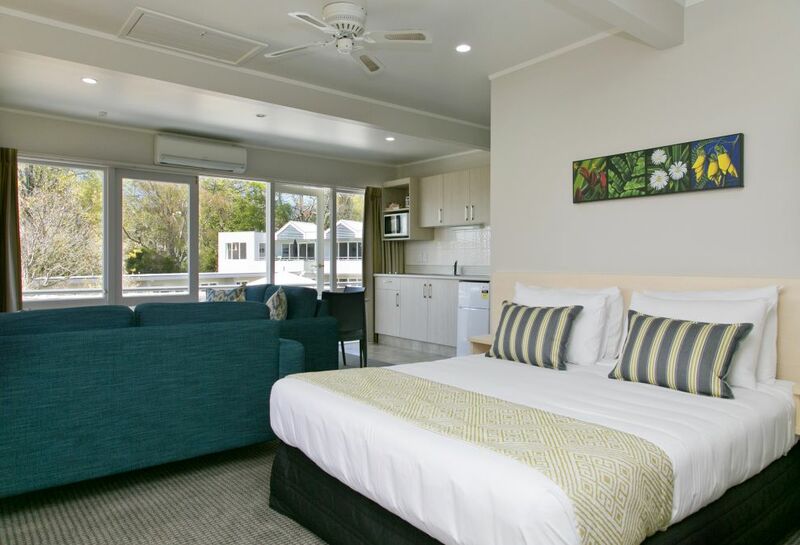 All our units have complimentary unlimited wifi, air-conditioning/heat pumps, some have underfloor heating, flatscreen TV with Sky and Freeview, well equipped kitchen facilities, private bathroom, and a private patio or balcony. 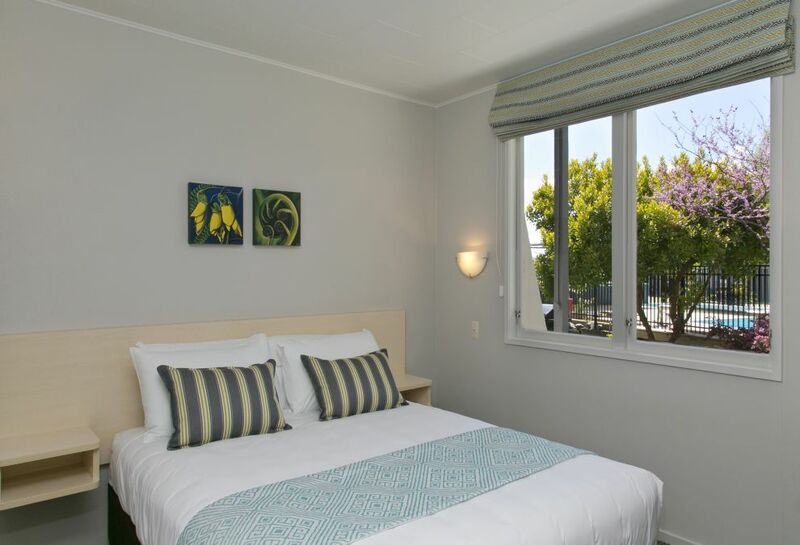 All rooms are serviced free-of-charge each day and have complimentary toiletries and One Fairtrade coffee & tea. 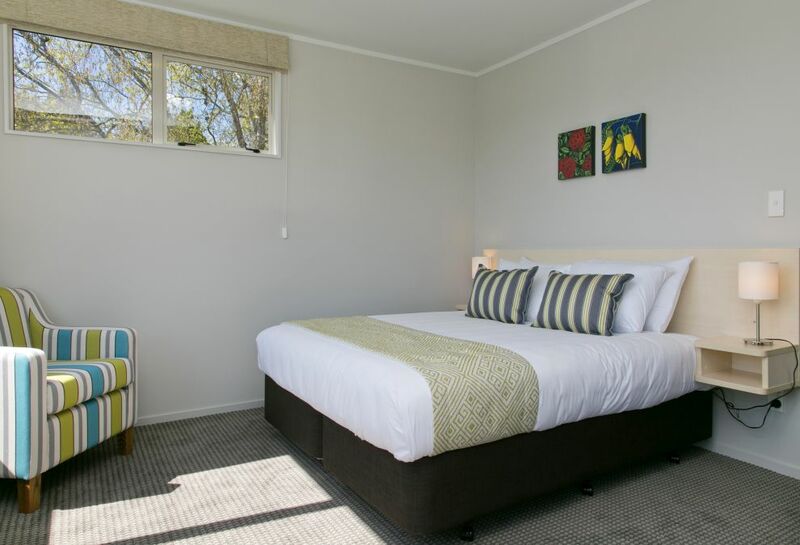 These light and spacious rooms have an open plan layout, with large windows and ranch slider that opens out on to a deck overlooking the pool area and fantastic views out over Lake Taupo. This studio has a super king bed, a double sofa bed, sofa, well equipped kitchenette and dining table & chairs. The bathroom has a large spa bath and separate shower and the private deck has outdoor furniture. These one bedroom units on the poolside are super spacious and light. They have large windows and a ranch slider and a small private patio that opens up onto the outdoor pool area. These rooms have a king bed in the bedroom, and the living area has a double sofa bed, well equipped kitchenette and dining table & chairs. The private patio has outdoor furniture. 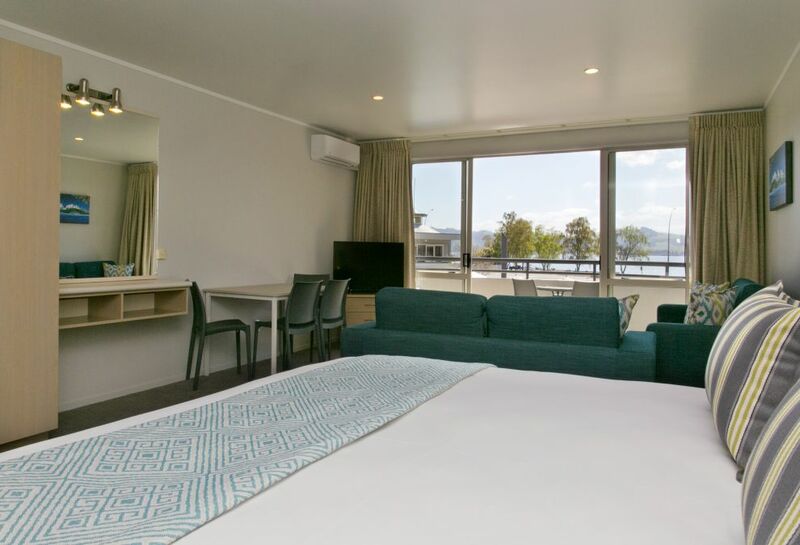 These large, spacious and light one bedroom units have stunning views of Lake Taupo from it's large windows/ranch slider and private balcony that overlooks the pool area. These rooms have a king bed in the bedroom, and the living area has a double sofa bed, well equipped kitchenette and dining table & chairs. The private patio has outdoor furniture. 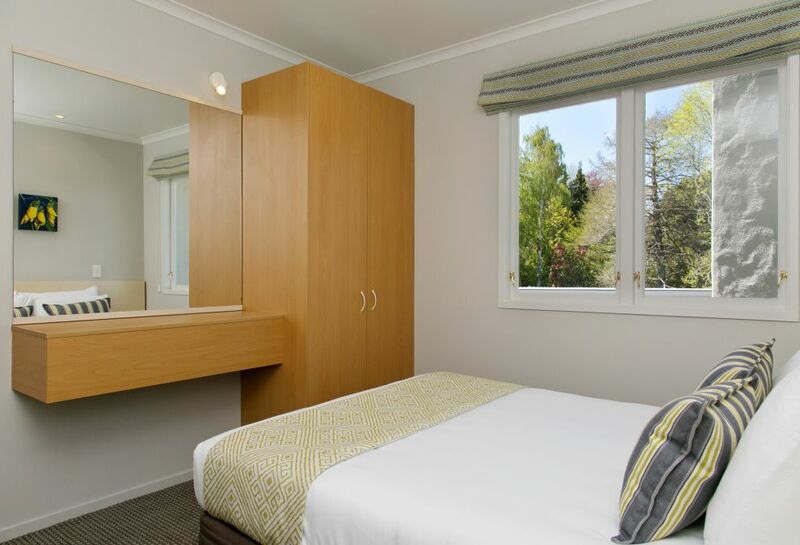 This spacious and light one bedroom unit has a massive bay-window that takes in some of the best views of Lake Taupo in the property from it's first floor location. This rooms has a queen & single bed in the bedroom, and the living area has a king bed, and a well-equipped kitchenette, dining table & chairs. The large private deck taking in the views of the lake and pool area has outdoor furniture. These two bedroom apartments open up onto the outdoor pool area, and are ideal for families who want to make the most of our heated swimming pools. They have a queen bed in the main bedroom and two single beds in the second bedroom, and a double sofa bed in the lounge. These units are a lovely open space to relax in, and have well equipped kitchen facilities and dining table & chairs. Perfect for families, this two bedroom unit has a great sized lounge area with large bay windows looking over Lake Taupo and opens up on to a small deck area which in leads to the heated pools. They have a queen bed in the main bedroom and two single beds in the second bedroom, and a sofa bed in the lounge. A great space to relax with a well equipped kitchen and dining table & chairs. These two bedroom units are large, well appointed and have great lake views. With a queen bed in one bedroom and a queen & single bed in the other, they are perfect for families or couples travelling together. A lovely open space to relax in, and have well equipped kitchen with dining table & chairs. A private patio overlooks heated pools and has spectacular views over Lake Taupo. 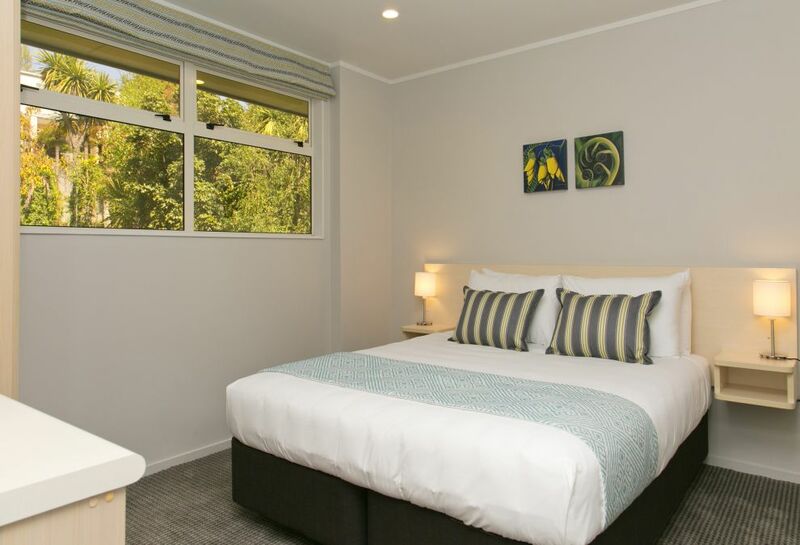 Perfect for families or friends travelling together, this three bedroom apartment has views out over our complex heated pools towards Lake Taupo. With a spacious lounge area and sizeable private deck area, with a BBQ and dining area with outdoor table and chairs. The apartment has two bedrooms with king beds, and a third with two single beds. It also has a full kitchen and a large dining table.